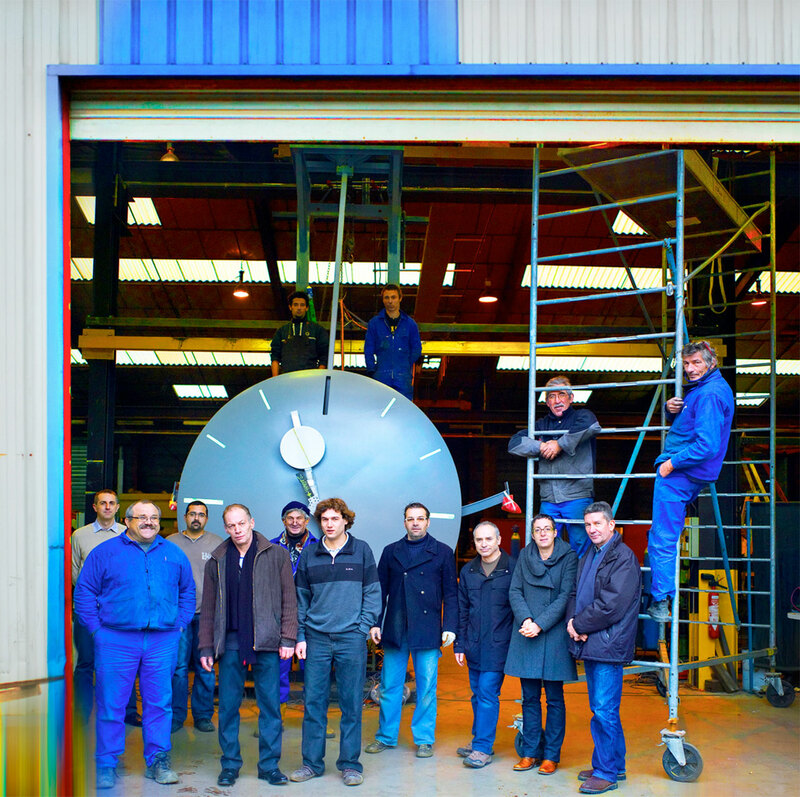 In 2010, the Utinam Besançon workshop took on a new dimension, going from the minuscule to the gigantic. 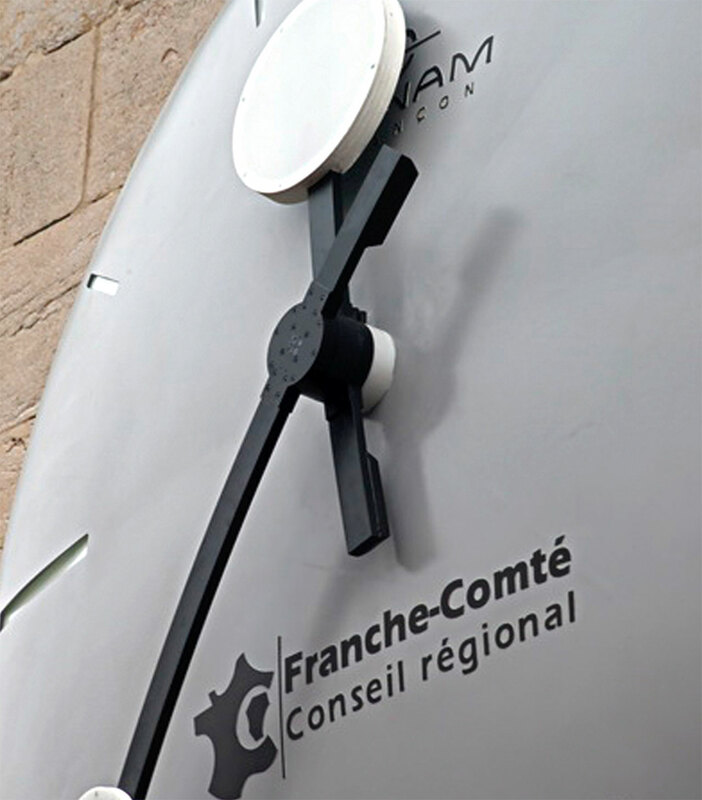 The first monumental clockmaking work by Utinam was designed by our time explorer to count down the hours and days over the period of a year from the installation of the new Rhin-Rhône TGV line to its inauguration. 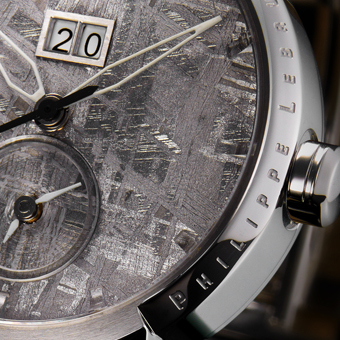 The hands turn twelve hours back on themselves for two minutes before beginning to keep time again. Time is materialised by a luminous halo which moves to show its heartbeat. TIME IS CARRIED AWAY IN A PENDULUM MOVEMENT. The countdown is represented by an original hand movement. 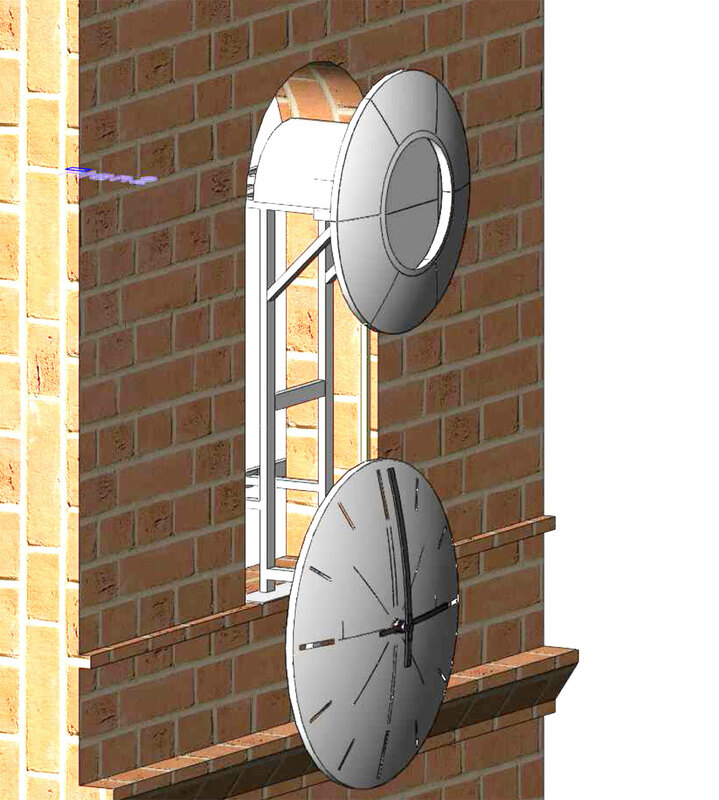 Every fifteen minutes, they turn anticlockwise, revolving and activating a composition of movements that reveal the elegance of this conceptual clock. This work was ordered by the Regional Council of Franche-Comté to count down the time of the construction of the new Besançon TGV station. Philippe Lebru coordinated eleven companies of Franche-Comté which participated in this masterly adventure. 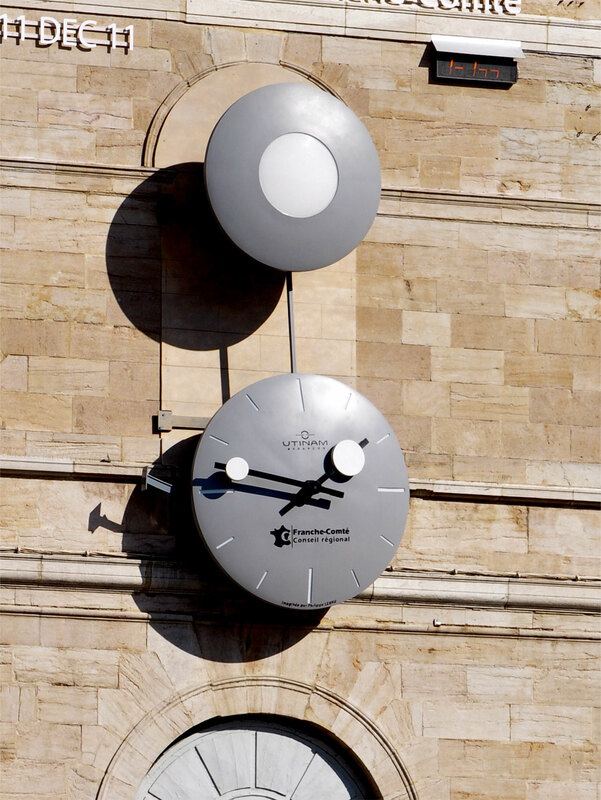 The clock is installed on the Besançon Musée des Beaux-Arts on Place de la Révolution.